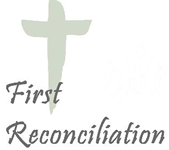 The Sacrament of Reconciliation brings God’s wonderful gift of forgiveness and peace. God loves us unconditionally, and is always willing to forgive, and to help us follow Jesus by forgiving others.Reconciliation is a sacrament that will continue throughout an individual’s lifetime that develops our awareness of God’s love and mercy and our need to seek forgiveness. Second through fourth grade students in our Religious Education program are invited to prepare for this sacrament in the Fall on Saturday mornings. Parents are invited to attend special sessions at the same time to help them work with their children at home and to ascertain their child’s readiness for the formal reception of this Sacrament as well as to update their own knowledge and understanding of Reconciliation. Register now! The Real Presence of Jesus in the Eucharist provides nourishment for our life's journey. Second grade students enrolled in Faith Formation (our Religious Ed program) begin preparation for the sacrament of Eucharist. There are also a series of six (6) special workshops on Saturday mornings. 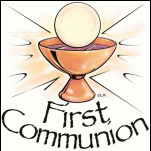 The Sacrament of First Eucharist is held each May at Sunday Masses. Please Note: Baptismal certificate/copy is needed unless child was baptized at St. Joseph the Worker or Immaculate Heart of Mary. Register now!